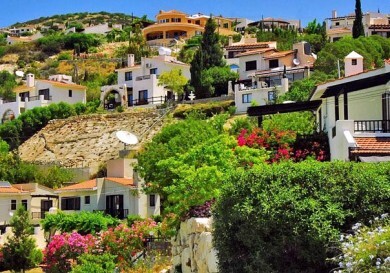 I had a good idea just before the weekend – we don’t we visit the mountain village of Lefkara? 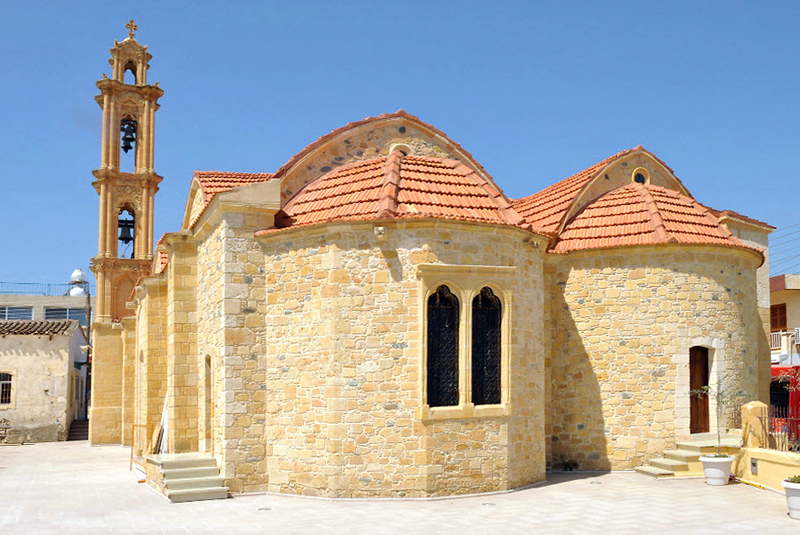 A visit to Cyprus is not complete without a trip to Lefkara, not because it’s on UNESCO’s cultural heritage list, or even because it’s the centre of handmade needlework and silversmiths. Of course these are very interesting, but the main thing is you can see how the life of the inhabitants has been preserved throughout the years. It’s as if you’re travelling back in time. There is a great creative atmosphere here and it’s a wonderful place to come to get away from it all. It’s not a difficult place to find. We are travelling from Limassol towards Larnaca and after driving for about 30km we turn off the main road, near the Alpha Mega Supermarket, and head towards the mountains for about another 11 km, following the signposts. The views are amazing. 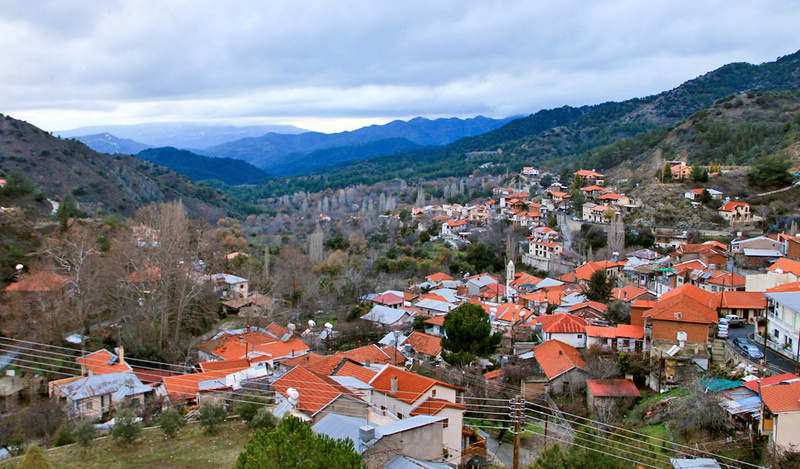 To the right is the mountain village of Lefkara, with its stone houses and red tile roofs. We follow the signs and drive down into the centre of the village, passing a small supermarket, a fire station, a couple of banks and the municipality building. There is ample parking clearly marked. You can feel that visitors are very welcome. 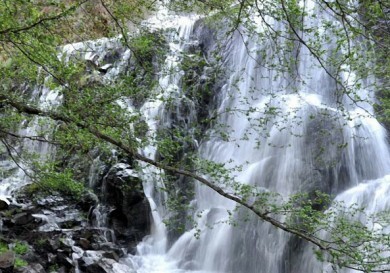 It’s said that the history of Lefkara began in the 12th century. 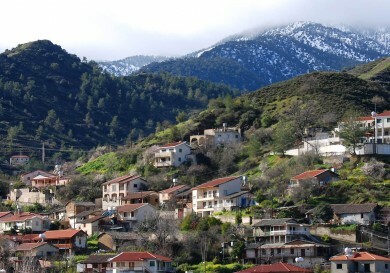 Lefkara means ‘white mountains’ in Greek, due to the surrounding limestone and silicon stone which is used to decorate the houses. 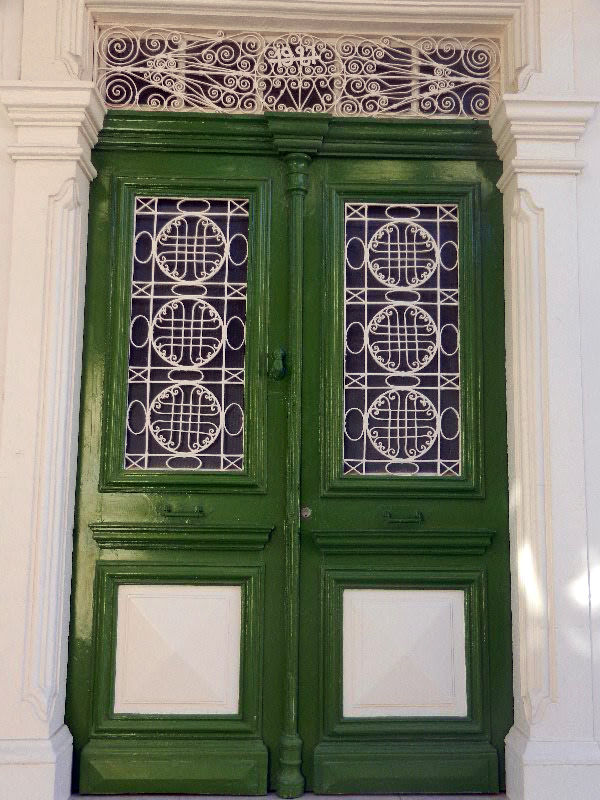 Rich burgundy, green and blue shutters and doors with wrought iron hinges and old locks are in harmony with the light natural stone. 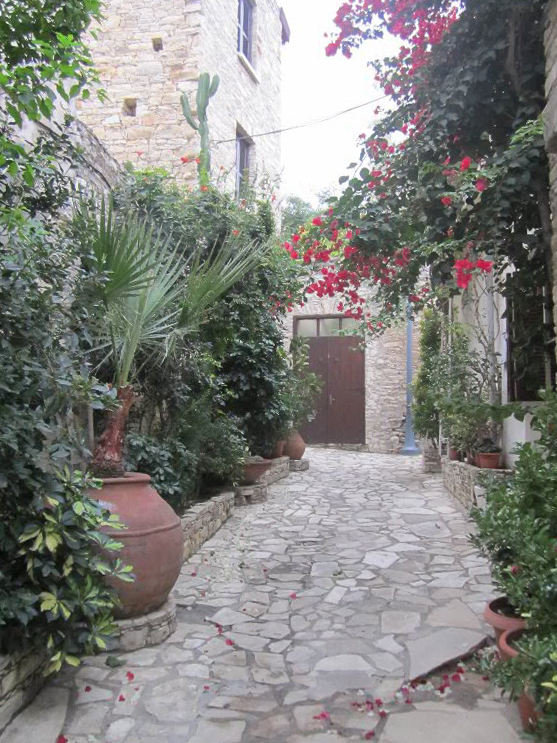 The houses in Lefkara are special as some of them have been preserved since the time of Osman and the Ottoman rule. 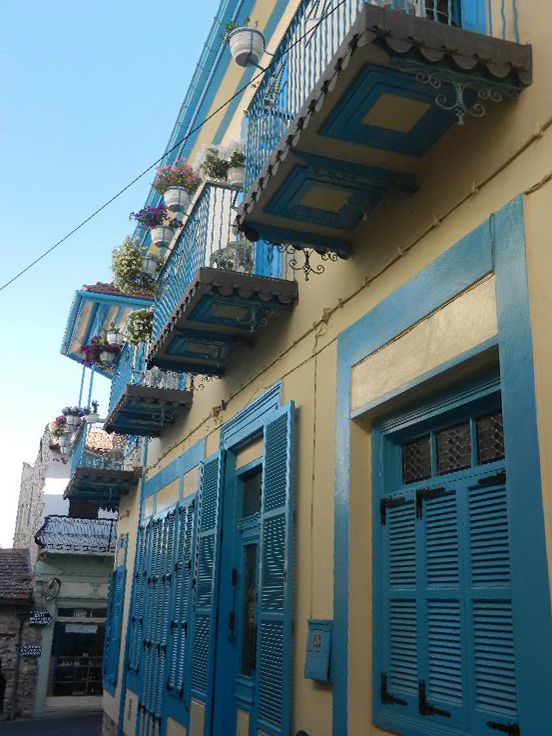 Houses with long balconies and small shops underneath were built by the British. Today these buildings have been restored and given new life. 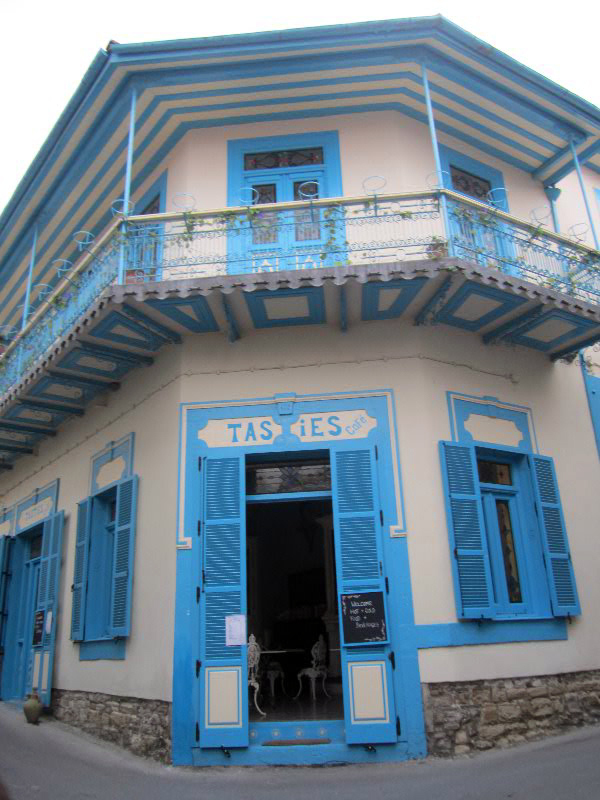 One of these buildings, built at the beginning of the last century, is the family owned café, Tasies. 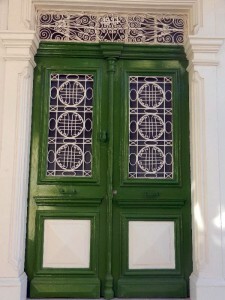 The building had long been abandoned, but in 2010 the new owners renovated it, preserving the interior and the decorations which allow us to see how British families used to live in Cyprus. There is a magnificent music salon, a stone hall and a library with rare art books. In the café you can refresh yourself with traditional Cypriot dishes. I suggest you choose the simplest – bean soup or tavas – chunks of lamb stewed in clay pots. It’s not just the taste of the dishes which will win you over, but also the hospitality of the owners. Always available and ready to help, and they can recommend what you should see in the village during your visit. Whilst walking along the streets paved with light coloured stone and a kaleidoscope of flowers, you breathe in the cool air – at 650m above sea level it really is noticeable. 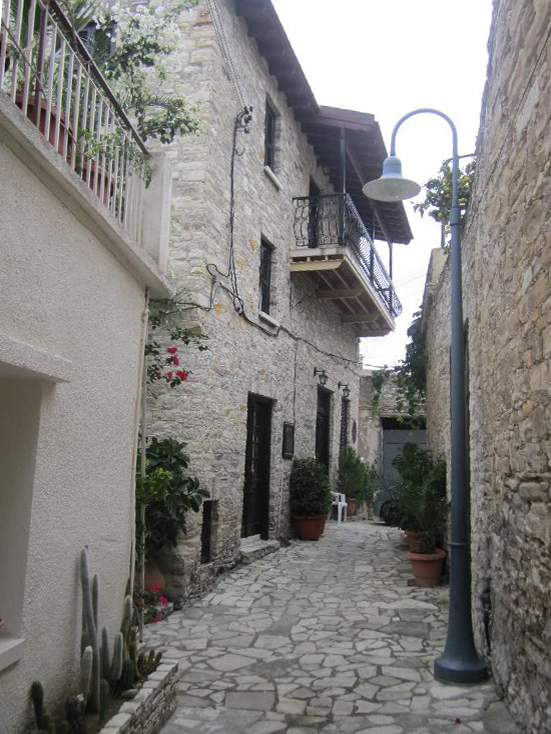 The many lanes of Lefkara are so narrow that you can easily touch both sides whilst walking along them. Bicycles are a very convenient way to get around here. Sometimes, whilst walking along a street, you suddenly find yourself in a private yard. 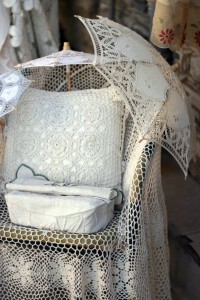 Through the open doors and windows of the houses you can see samples of the famous needlework. Surrounded by picturesque interiors with embroidered lace napkins, curtains, tablecloths and bedspreads, you can see that the locals are busy. They create new patterns on cotton, linen or silk and some will happily invite visitors into their homes. It should be noted that when accepting the invitation, you will probably be expected to buy something from the host. I recommend you bargain a bit. When showing his work, the craftsman will no doubt tell you about the visit to Lefkara of the great Leonardo da Vinci in the 15th century. One of the patterns is named after him. The art of needlepoint is handed down by craftsmen from generation to generation and is famous worldwide. You can see the Lefkara lace being made – it’s the only source of revenue for many of the elderly folk. 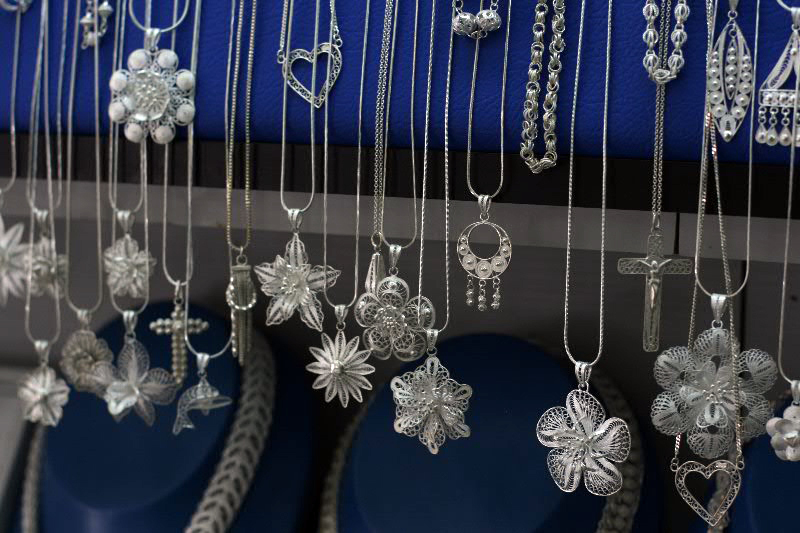 Not only women but also the men of Lefkara make lace, but this is silver lace, filigree. One of these workshops is located near the café of Tasies and you can often see Mr. Pavlos Pavlous at work there. He will happily tell you about his craft and show you the patterns he uses to make his creations. Pavlou inherited the family business and has over 40 years of experience. Pavlous is currently filling an important order from one of the local churches – to create a gem incrusted silver copy of the Most Holy Mother of God’s diadem. The normal everyday work is making copies of the jeweler found in the museums of Byzantium art. 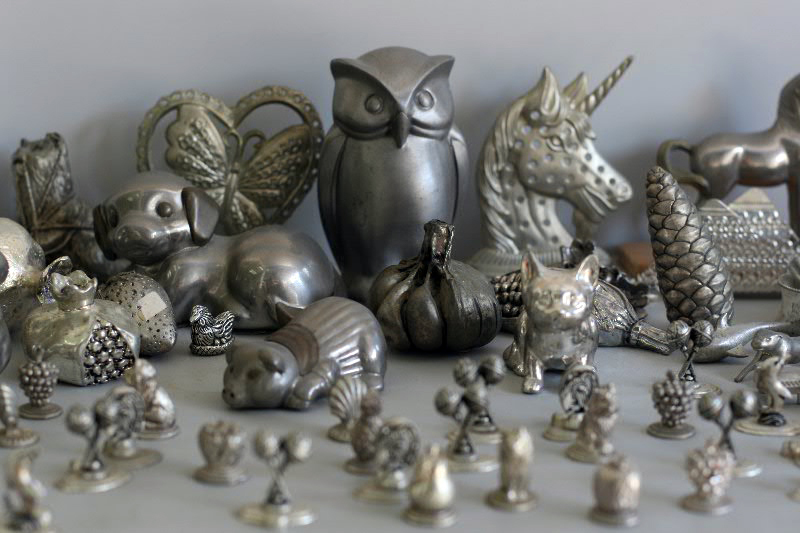 At first glance it may seem that all the pieces are the same, but look closer and you will see unique details making each item special. 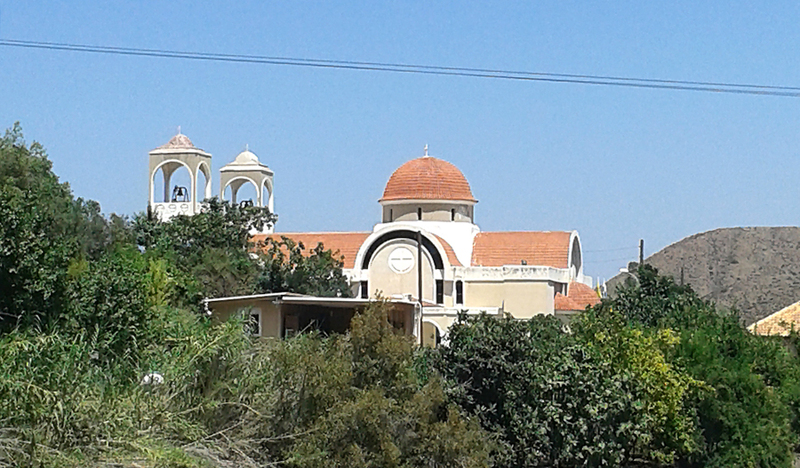 Lefkara is interesting to any visitor. 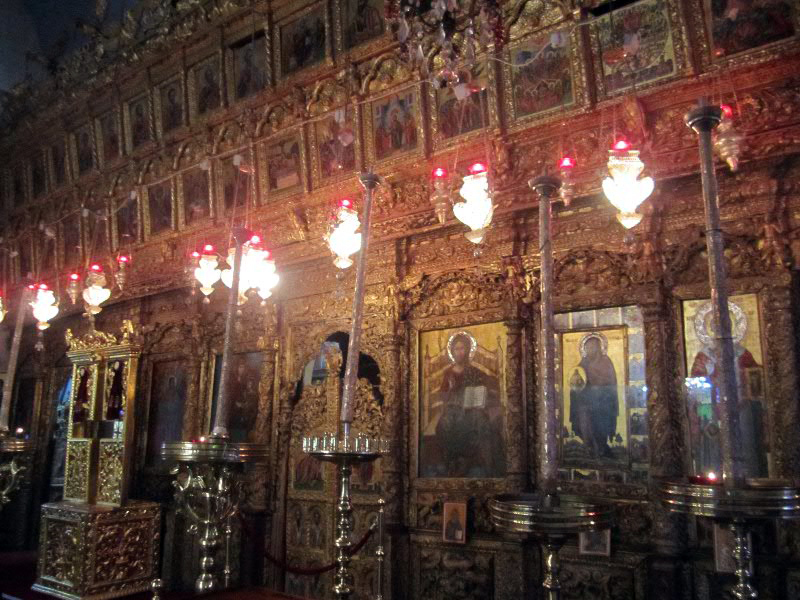 There is not only a local museum of folk art, but also the Church of the Honourable Cross with an iconostasis of special beauty. A piece of the Life Giving Cross of God is kept here and the shrine is decorated with a gilded silver cover, the work of local craftsmen at the beginning of the 14th century. 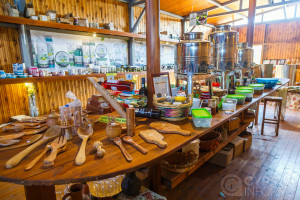 In a nutshell, take the time and discover Lefkara; combine a pleasant holiday with an educational journey. 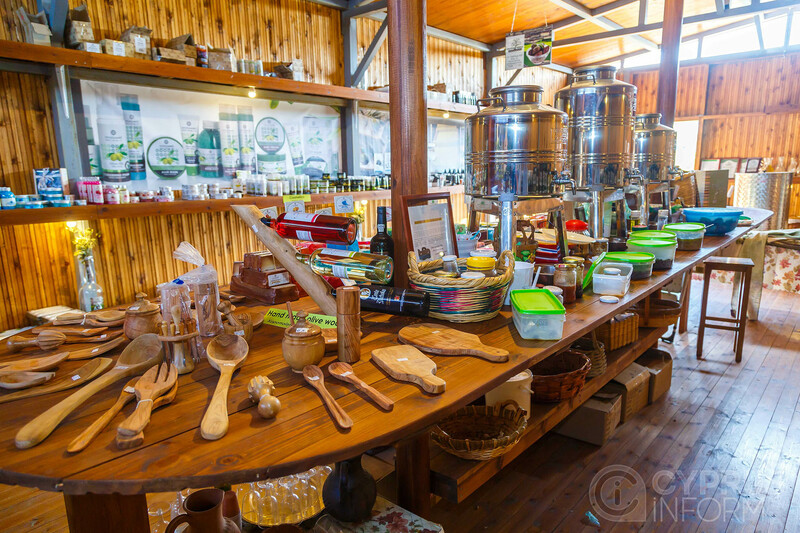 When you are in Lefkara why not visit the Terra Oliva farm just 5 minutes outside the village. 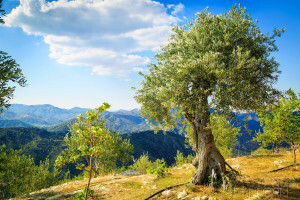 Terra Oliva has more than 7000 olive trees and hundreds of eternal olive trees aged between 300 and 1000 years including one tree which is more than one thousand years old, has a special certificate and is protected by the Cyprus Government. There is plenty of space for the children to run around or for gentle walking among the trees and enjoying the breathtaking views of the surrounding hills.